*NEW* 2D Mini Wedge Photo Frame. 80x60x20. Up To 2 People. Please select your image from your computer to add it to your order. Brand New to our range, is our lovely Mini Wedged Photo Frame. 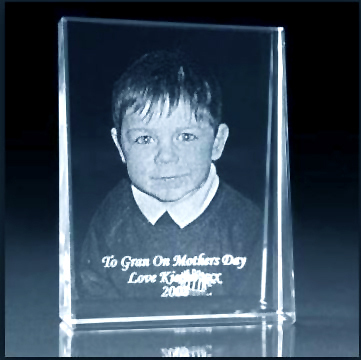 It sits on a sloped thick flat bottom, so is ideal for displaying anywhere. Perfect to display as a small keepsake, ideal for pets or up to 2 people. The price is for 2D. Up To 2 People Or Pets. This crystal comes packaged in a premium black gift box. 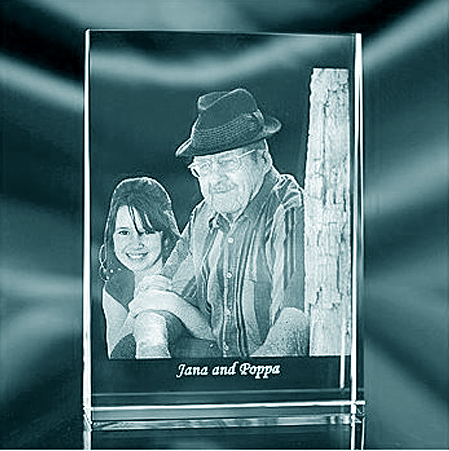 Your photo or phrase will be laser etched within and never wears, tears, or fades away!